Inspired by different Broadway, Disney, or Movie Musicals each session, campers explore related scenes, songs, and dances. And, of course, play lots of drama games! This is guaranteed to be a day packed with theater and fun. 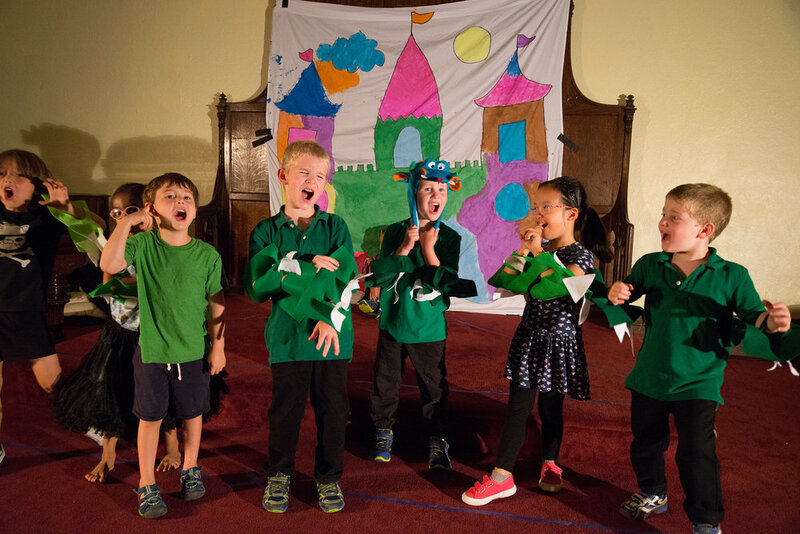 Join us for a fun week full of acting and music games, arts and crafts, and of course…theater! Our professional teaching artists will lead campers through the full experience of rehearsing and putting together a show, ending with a full production in front of family and friends. Extended day is offered from 3-5pm Monday through Thursday at $25/day. Fun, creative activities are scheduled each day including movie making, script writing, going to the History Museum and more! Early drop-off is available each day beginning at 8:30am, for $10. Sibling discounts are available at checkout. See our picture gallery here! 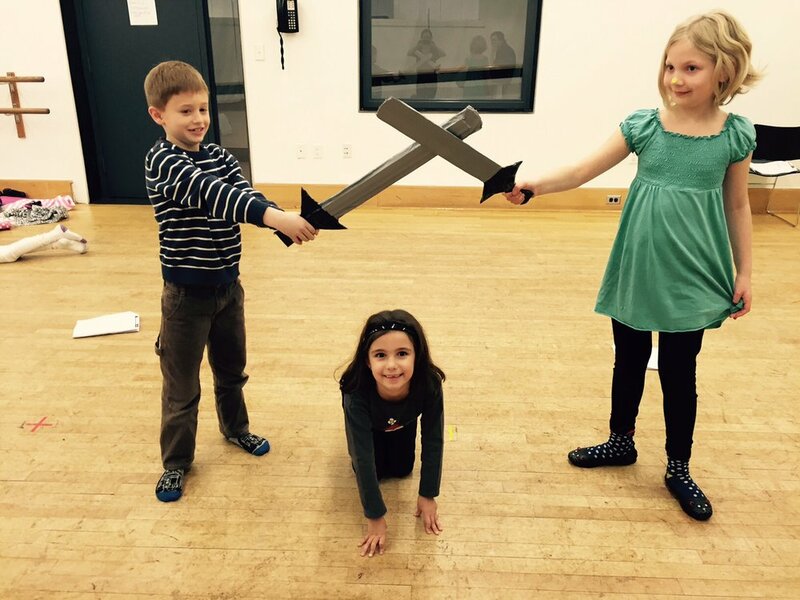 Our theater day camps are guaranteed to give kids a week (or more!) full of acting, music, and fun they won't soon forget! 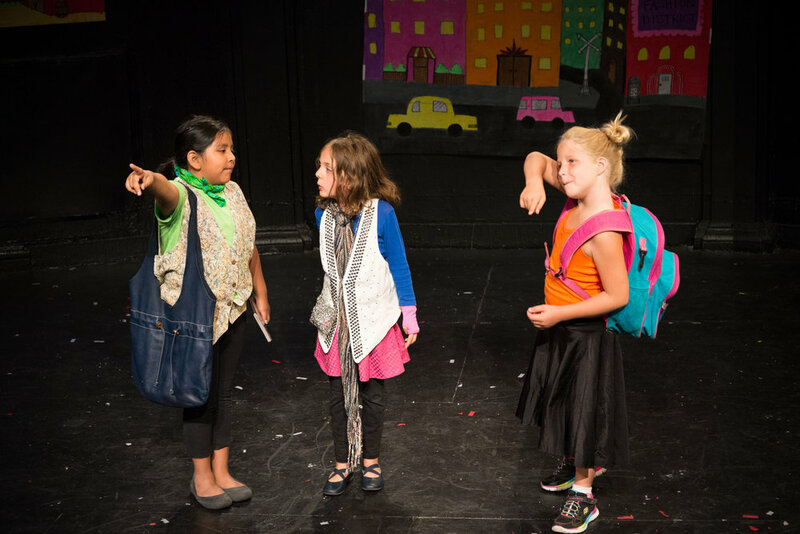 In all of our camps, young actors will rehearse and perform in a full production, work with professional NYC actors/teaching artists, and build up their skills in a nurturing, non-competitive environment. And, of course, play lots of drama games! See you at camp! Sign up for multiple camps and SAVE! Check out our PROMOS page for details. Put on a complete musical production in a professional NYC theater! 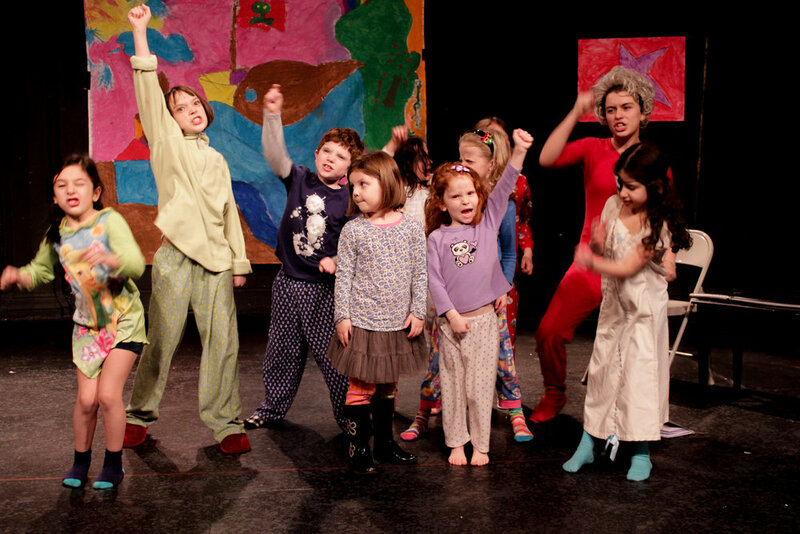 Campers will stretch their skills with drama exercises and games, vocal coaching, field trips (including a Broadway show! ), and building a professional set. 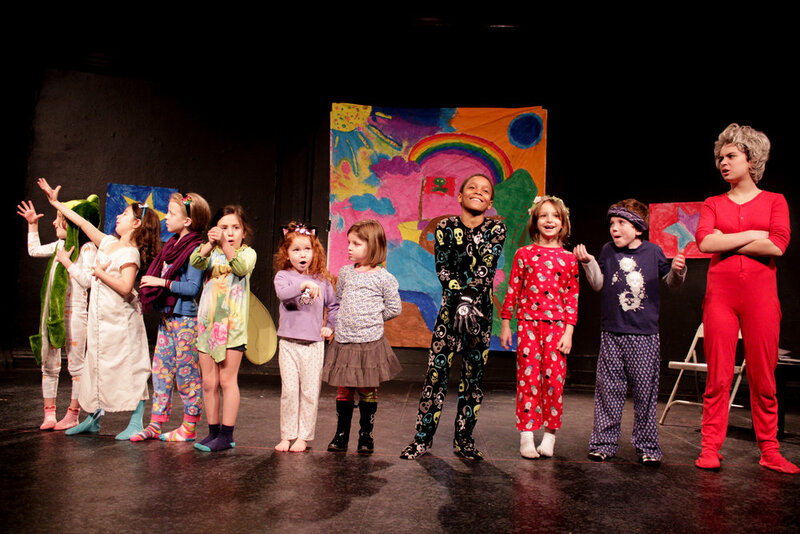 Our incredible teaching artists and campers come together to put on a truly remarkable show! 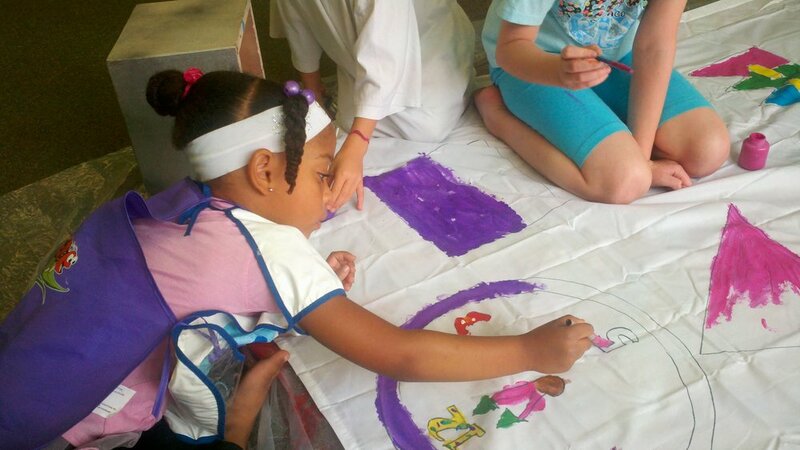 Additional activities often include scene-writing, film-making, Shakespeare, creating choreography, and more! 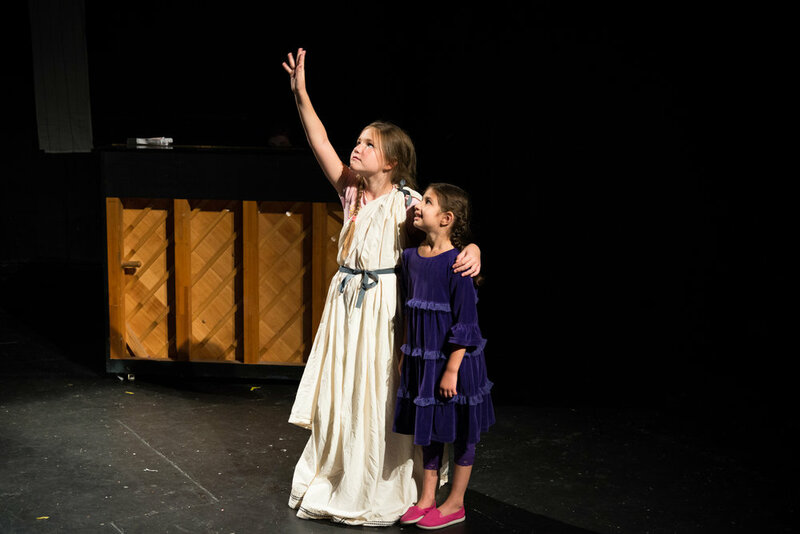 Using a different, inspiring Broadway theme each session, campers will explore solos, monologues, scenes, and full musical numbers. This flexible format allows us to create a very personal experience for our campers, helping them to grow and take on specific challenges. 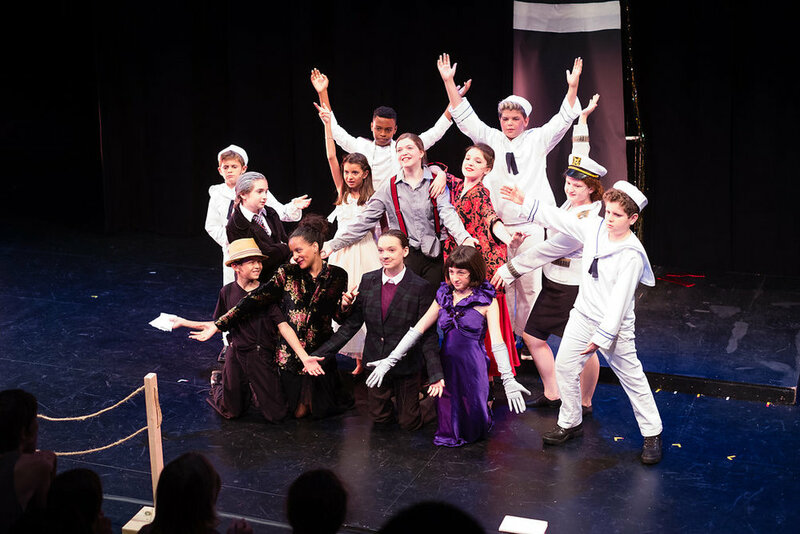 For example, campers looking to prepare for middle school, high school, or professional auditions will have opportunities to start work on appropriate monologues and solo songs. We'll show off our new skills at a final Friday performance! Sign up for a whole week (June 25-29) or one day at a time (July 2-6)! Not finding the dates you need? Check out our UWS Location where we offer more options.